Millennial freelancers are a force to be reckoned with and the numbers are there to prove it. According to a national survey from Freelancers Union and Upwork (formerly oDesk), 38% of millennials are freelancing — more than any other generation. Considering that they now make up 45% of entire workforce, this group of 20 and 30-somethings is taking the freelancing industry by storm. It’s clear to see why. The benefits of being a freelancer align with the lifestyle that millennials seek. They want flexibility, independence and creativity – a perfect formula for a rise in freelancing jobs. But while there are many perks to being a freelancer, there are also stodgy downsides such as complicated taxes and the responsibility of tedious administrative tasks. One thing freelancers shouldn’t complain to the IRS about is the amount of tax breaks they offer. Tax breaks give freelancers a valuable opportunity to win back money they’ve been spending on their business. It’s also a unique way to encourage entrepreneurship. There’s only one problem: it’s hard to keep track of what’s what, and deductions often change on a yearly basis. Learn about which expenses qualify for which tax break by reading the in-depth tax blog written by the awesome folks at Freelancers Union. 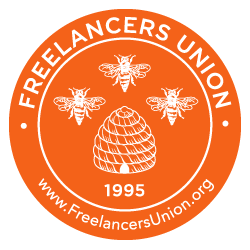 Freelancers Union is a nonprofit organization and insurance company that advocates for the rights of freelancers. Their blog posts are written by freelance veterans and include everything from how to calculate hourly rates to how to write client contracts. Unless you want to have a very stressful week, don’t wait until right before April 15 to prep and file your taxes! When you take your time to carefully approach filing your taxes, it won’t seem as stressful or time consuming. You’re more likely to make an error or miss out on a deduction if you rush the process. 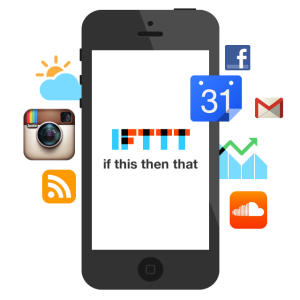 Eliminate the risk of filing late by using IFTTT. Simply set a receipe that sends a email and/or text reminders on certain dates leading up to the April 15 deadline. This nifty web tool can also help with QET deadline reminders. With an endless supply of information, the Internet of things can answer any question you may have related to taxes. Sometimes though, having 10+ pages pulled up with an overwhelming amount of information can make material difficult to comprehend (which is especially true for taxes). Depending on the complexity of your question, it may be best to approach a tax expert or CPA. Tax deductions change often — stay ahead of the curve and make sure you’re taking advantage of ways to save money by asking for help. 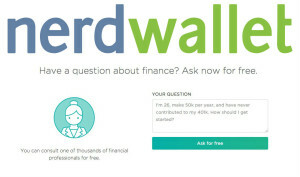 Enter NerdWallet, an educational blog that helps millennials make smarter financial decisions by breaking down complex financial information into simple terms. The writers at NerdWallet can tell you exactly which expenses qualify for which tax break as you track your finances into tax season. They also have on-demand financial professionals available to answer your tax questions directly from their homepage. One of the easiest way for freelancers to maximize tax deductions is by staying organized and keeping updated records of receipts, payments and expenses. The IRS demands documented proof for claims, so having everything stored and accessible can reduce a substantial amount of time and pressure. Organization also helps maximize deductions and reimbursements without the hassle of scrambling to find misplaced financial records. 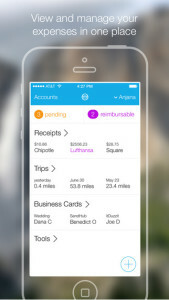 Apps like Shoeboxed let on-the-go freelancers snap pictures of receipts using their phone, which are then digitally stored as IRS-accepted images. Receipts are processed and organized so that vendor, total amount, date, tax category and payment type are extracted and available in a searchable online account. Simply make a note that the receipt is deductible and boom – you have a digital archive of everything you can write off for taxes. Use these tools and tips to help make your freelance tax season the smoothest (and most time-saving) yet!